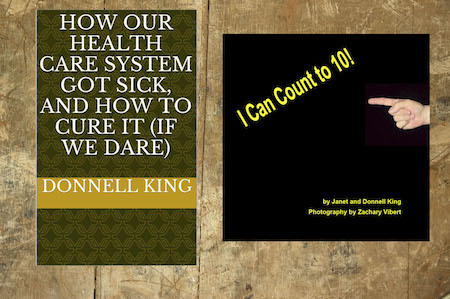 We’ve recently posted a couple of ebooks that, for the time being, are free on Amazon. They will revert to regular price in a few days, though. Grab them while you can, and tell interested friends! On a completely different level, if you have young children or grandchildren, you may find I Can Count to 10! useful in a simple way to help them learn to count. Obviously, you could do this with them live, but having them look at this ebook as you also count live with them will help them to associate the words and figures with what they hear, and give them something to practice with when you’re not available. We would appreciate any reviews you can post, and in any case we hope you find it worthwhile spending a little time with us in “print.” Thanks!